Big School news: One should wave like this on television! 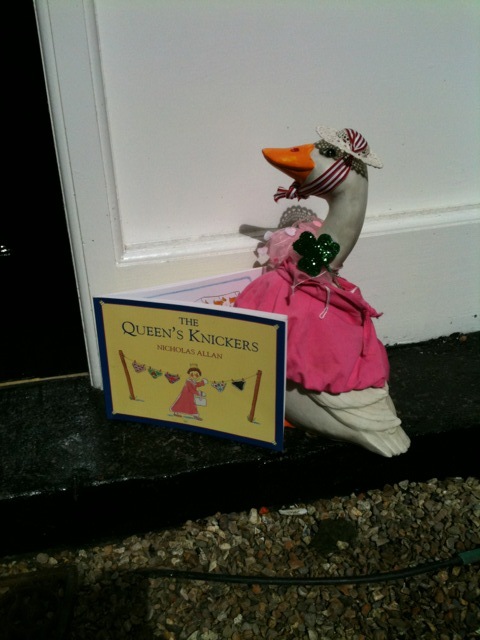 Daisy Duck dons her royal best and gets some relevant reading! Unless you live outside Ireland you can’t have missed the excitement and interest in our historic royal visitor. Queen Elizabeth II is visiting Ireland for the next few days, being the first British monarch to do so in over 100 years. Central Dublin has been awash with people trying to get a glimpse of the Queen and Prince Philip despite the security restrictions. 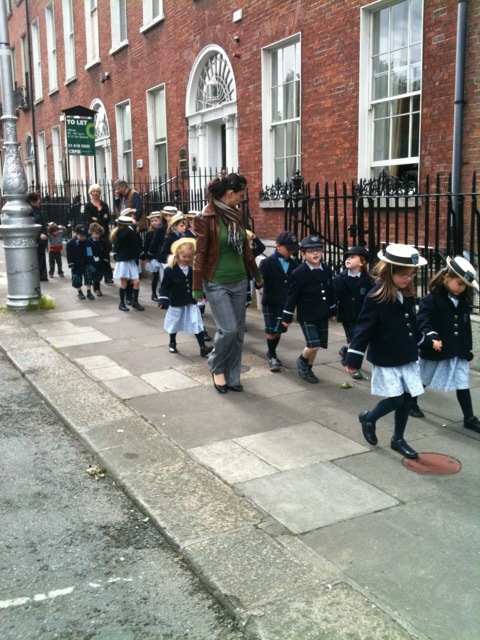 "We've been to London to visit the Queen" ... or to the bottom of Merrion Sq at least! The children of the “big school” really wanted to be part of this remarkable event and knowing that the Queen was due to arrive at Leinster House we took it as our golden opportunity. Not only is our school ideally located in an historic part of the city but we were also ideally located today to witness the Queen almost right outside our door! 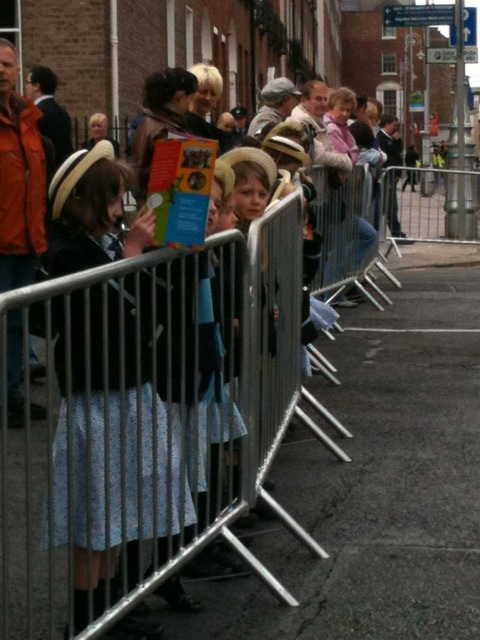 Patiently waiting for the Royal cavalcade. In their summer uniform best, the children waited at the end of the street as the cavalcade drove by, and waving and cheering the Queen couldn’t help but give us a royal wave! Everyone was elated by the wonderful occasion. Even RTE News were charmed by our well-mannered children and they even had a brief word with Norah (from junior infants) and Val (senior infants) who were broadcast on the three main news bulletins! "We waved like at the Queen like that!"